The craftsmanship that goes into each instrument by P. Mauriat is second to none. Our French brass and other metals are exceptionally resonant due to the extensive hand-hammering process it must endure in our factory. A single saxophone body will be hammered as many as 400 times before proceeding to the next technician for final shaping. Each tone hole is drawn from the saxophone one by one to ensure the precision and consistency required for excellent response and intonation. Our lacquer process is applied by three separate stages in order to achieve a timeless, vintage look that will last for ages. The final hand engraving process is masterfully accomplished with nothing more than a simple handheld tool and years of experience. Once complete, each instrument is carefully inspected and tested by one of our full-time quality control artists to ensure that our customers receive the absolute finest instrument available. 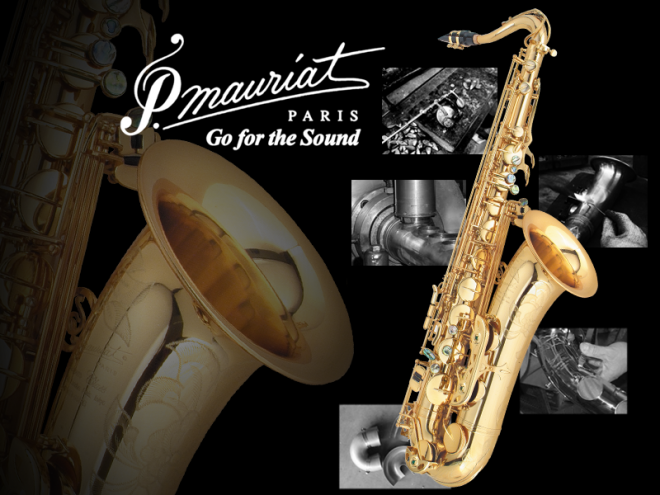 P. Mauriat instruments represent the embodiment of aesthetic beauty and technical precision. All of our horns are handmade in order to bring out the innate characteristics and sound of each exclusive model. The natural quality of our horns is what we believe differentiates us from all others, and we believe that you will hear it, too. With a P. Mauriat you can Go for the Sound.